Whether 90 or 92- Doris Day is just an amazing lady, an angel on Earth; a fabulous singer, actress, comedienne, role model, survivor, animal activist, I could go on and on...a photo is on FB taken in 2002 - with a male friend/fan - she would have been 78/80 in that pic and looks about 55 - she has aged wonderfully, listen to her on her own web site- she sound many years younger than 90! Long live this amazing lady. 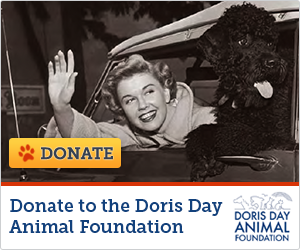 I have always wanted to say how much i am in love with Doris Day. This lady is so wonderful there arent enough words to express my delight in listening to her sing , watch her act and oh so many things. Happy Birthday Miss Day.You are wonderful!